Our new website makes getting affordable term life insurance easy, affordable and dare we say fun? Term life insurance helps people who are married and/or have children because it provides affordable financial protection for your loved ones, just in case. Get free quotes and securely apply online for term life insurance from an A+ rated insurance carrier with great rates and over $500 billion of life insurance in force. Banner Life Insurance is a 65 year old company with $587 billion of life insurance in force. Banner has absolutely great rates and are ranked 3rd among all U.S. companies for new coverage issued. Term life insurance is much cheaper than permanent life insurance. Because costs increase as you get older, you want to get as long a fixed term as possible. We provide 10, 15, 20 and 30 year level term life insurance policies with options for every need and budget. 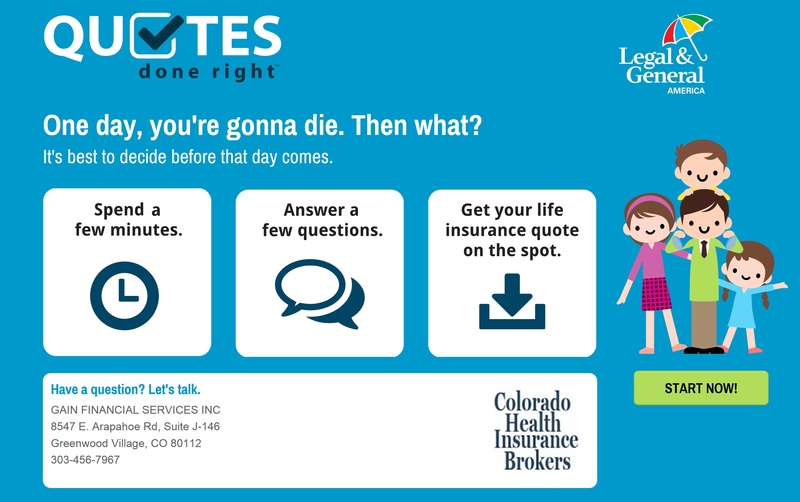 People often wonder how much life insurance they need. One rule of thumb is to have a policy that pays at least 6 to 8 times your pretax income. However, if you want to pay for kid’s college or have other needs to provide for, be sure to factor those in too. Get a free quote today from an A+ rated insurance carrier with absolutely great rates. It’s easy and fun!